Laureen Harper (middle), wife of Prime Minister Stephen Harper, was on hand last year for the Laura Secord Walk, commemorating the 200th anniversary of Secord’s historic trek during the War of 1812. This year, people are again encouraged to retrace Secord’s steps. This Saturday, it’s going to be all about Laura. After all, June 21 is a day in celebration of Laura Secord, the Canadian heroine of the War of 1812. The Niagara Parks Commission will be offering up free admission to Secord’s homestead in Queenston, with tours, music, snacks and more on site. There will also be several talks on site including a dramatic portrayal by Maja Bannerman. A free Secord Shuttle will run between the homestead and other Laura Secord Day activities at the Outlet Collection at Niagara and Ravine Vineyards. The Outlet Collection will have a photobooth where you can get your picture taken with costumed re-enactors, music by folksinger Rosalee Peppard and, in true outlet fashion, a deal on Laura Secord caps — $4.99 instead of $20. Ravine Vineyards will have wine, cheese and chocolate pairings for $10 per person. Pre-registration is required by calling or emailing Laurie at 905-262-8463 extension 29 / laurie@ravinevineyard.com. There will also be a free wine tasting at the Wine Visitor and Education Centre at Niagara College’s Niagara-on-the-Lake campus. In addition to all of the fun, there will also be the chance to follow in Laura’s footsteps and walk her route. 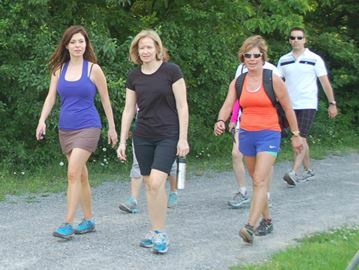 Challenge yourself with the full blister-inducing 32 km trek, join the mid-morning trekkers for the 14.4 km Haul to the Mall — the new Outlet Collection at Niagara — or have fun with a 4.5 km ‘Laura Secord Lite’ hike. Pre-registration is required for the walks. For more information on any of the events, visit www.friendsoflaurasecord.com.